These extracts, including one from Gwen Ansell's seminal Soweto Blues: Jazz, Popular Music and Politics in South Africa, highlight the role that Cape Town jazz musicians Abdullah Ibrahim, Basil Coetzee and Robbie Jansen played in boosting morale during a dark time. "During the apartheid years of defiance politics, Mannenberg became an anthem of the struggle... During the struggle years, Coetzee was at the forefront of support for the anti-apartheid organisations, always prepared to provide music for rallies." "The history of his [Basil Coetzee's] nickname is a story that will continue to live long after his death and he earned it after his remarkable saxophone solo on Abdullah Ibrahim's recording of Mannenberg, on the album of the same name. During the apartheid years of defiance politics this song became an anthem of the struggle... One of Coetzee's sons, Basil, said one of his father's greatest disappointments was his abandonment by the very people he worked to help in the Eighties, when he and many other musicians helped to raise funds for the fledgling United Democratic Front." "[Basil] Coetzee returned to the stage in the mid-1980s, playing at United Democratic Front concerts and rallies; he was at the forefront of support for anti-apartheid organisations." "It seems like just yesterday that I first heard that riff... that special sound that helped build that wider family during a time of deep repression, when speech was not enough. That sound which is something we can feel but not explain, which gave voice to the speechlessness of those times." 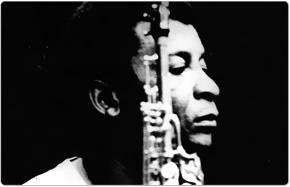 "Abdullah [Ibrahim] tells a remarkable story about two tunes that he performed in Cape Town in 1976. These became the anthems of children in the streets of the city. They were the tunes Mannenberg (named after a township in Cape Town that is parallel in significance to Soweto in Johannesburg) and Soweto. The saxophone solos were being sung to words all over the country, as anthems of anger and resistance to the apartheid regime. Just a few months after the recordings of these tunes were released, the Soweto uprising occurred. This was the turning point in South African history, when the South African security forces gunned down schoolchildren, who were protesting against [Afrikaans] language instruction in schools." "Mannenberg catapulted musicians' minds into what was really happening." In this lesson plan, students are asked to think about how music enables people to express ideas and to affirm the cultural diversity of South Africa. They will be asked to reflect on the value of interviews as sources. Images of the men who created Mannenberg. Check out the “sound” memorial marking the recording of Abdullah Ibrahim’s famous anthem, Mannenberg. Listen to Abdullah Ibrahim and others reminisce about what gave rise to their famous tune. A 360º view of the memorial on Bloem Street, Cape Town. Curious to see and hear the Mannenberg memorial?